Need a book deal? List of agents? Plus – big 10th anniversary survey and draw to win a stay here! Also – final dates for 2018 to get away and write. New – dates released for 2019 including workshops and a weekend meeting a publisher! Ten Years of Retreats for You! It is about the concept of two new en-suites for the biggest bedrooms upstairs – we need your thoughts, please. What difference does it make to your decision to book with us? The new bathrooms in bedroom 3 (Martin room) and bedroom 5 (Hewitt room)* should be finished this side of Christmas, and ready to start the New Year, if all goes to plan. The survey is just four questions long, takes about three minutes, and right at the end, you can leave your info to enter the draw. Thanks to all of you who have helped to make it a success over the past decade, and of course lovely founders Deb and the late Bob Cooper. BTW find out what Deb’s been up to in her new blog. It’s been nearly two years since I moved to Devon and began the daunting task of picking up the reins at RFY, and after many little updates and refurbishments we seem to be doing ok! See below for the update on upcoming retreats this side of Xmas (Oct 15, Dec 3); I must admit we are pretty full. STOP ~PRESS – Xmas wreath-making class and Xmas concert, two day stay 10-12 December; and a New Year weekend retreat just announced – Jan 3-7, Thu-Mon. Two places already gone. But now here’s the big announcement – for 2019, everyone who gets these regular newsletters will have first refusal for the new dates listed below, keeping 2018 prices – exclusively available to my subscribers – no one else can book for the next seven days. So get in touch soon. Please note the March weekend retreat with a talk from commissioning editors is likely to sell out fast, so we are initially taking names for a waitlist, and will contact those at the top of the list first, so get in touch asap if you’d like to come. Other dates include yoga weekends, tutored workshops and a photography weekend. But first, a topic of interest to the vast majority of the writer guests who have stayed at Retreats for You over the last ten years… Looking for a book deal? The published books on our shelves are always inspiring. And for many, our quest for publication continues. 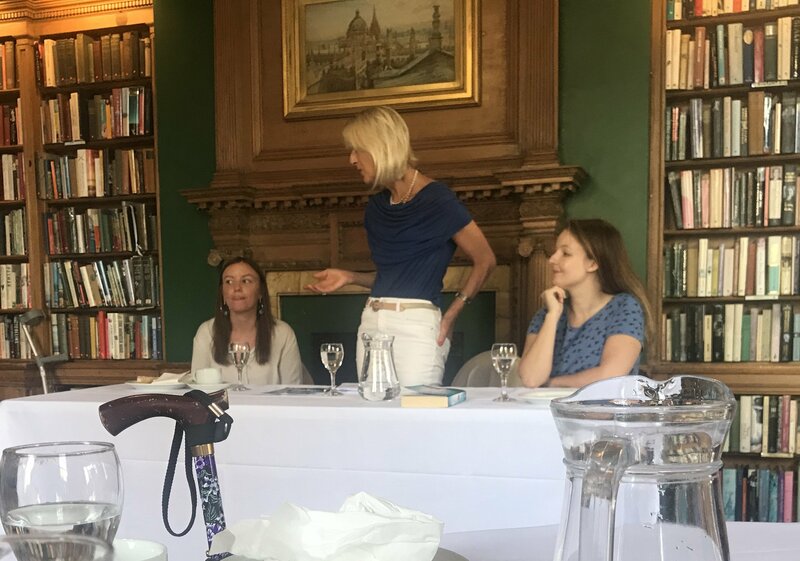 On Monday 10 Sept, at the monthly Freelance Women in Media group, I attended for the first time, to hear this month’s inspirational speakers and found out about the big publisher currently taking open submissions, see below. Phoebe Grant, author and Senior Commissioning Editor for Avon Harper Collins, acknowledged it may not be open for long. As with most publishers, it’s unusual to accept an MS directly from an author as they normally only accept via an agent. Plus, they’ve already taken on 7 new authors from this rare digital-first, ‘big-six’ opportunity. So why not give it a go? She also talked about getting her own books published – and said there are many good agents out there, along with several bad ones. So in the Q & A I joked could she give us a list…! But surprisingly, we got one – of some of Phoebe’s recommended agents – see below. As most new writers know, it’s always hard being in a slush pile, but worth trying a recommendation. 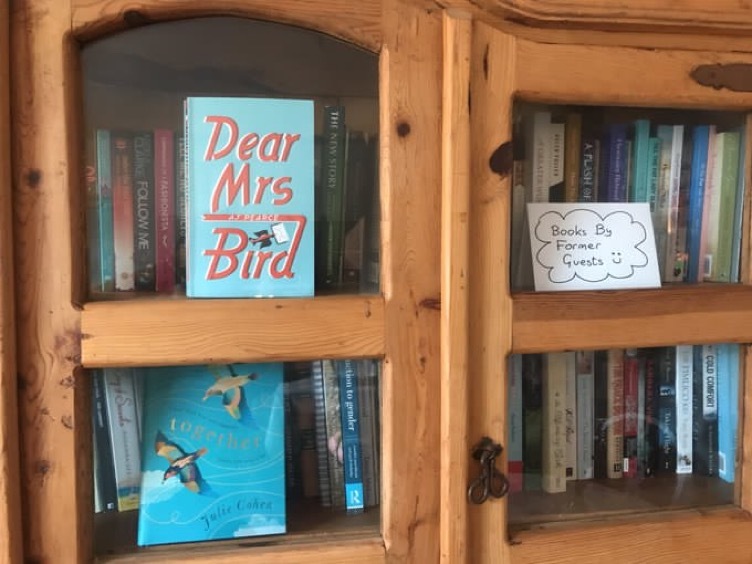 Pitch to a Commissioning Editor There was also much talk about the need to stop life getting in the way of finishing our own books – so true! – and how writing retreats definitely help. Phoebe has agreed to come down to us in Devon for a weekend in March to repeat her information-packed talk (see below). Do sign up for the short-list for this retreat, or any others like it and I’ll keep you informed. I’m aiming to run three similar weekends with different speakers in 2019. Other dates and cost tbc. How about writing 25000 words or more in 4 days in like-minded company? Well fab author Nikki Moore came to RFY recently and did just that. See below. 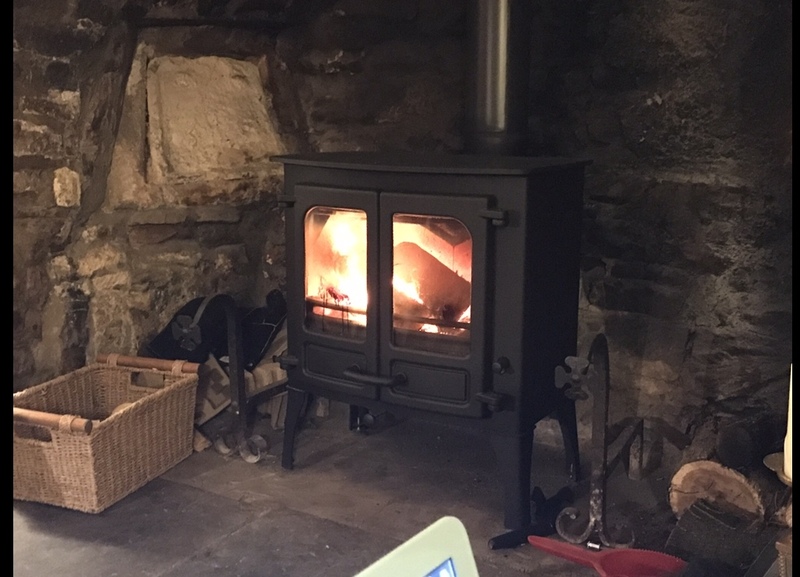 Also for an insight into a stay here, September guest Jess Meats has also given us a fab write up in her latest blog – read it here. She said the best thing was being in like-minded company and got even more words done than Nikki! Thanks Jess! 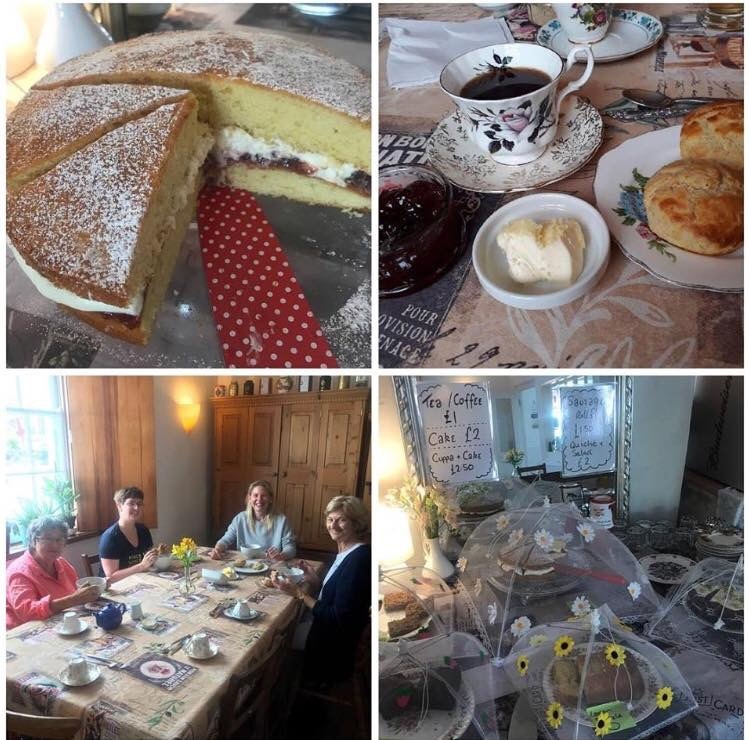 Our summer retreats have also featured a Wednesday tea rooms day, where you could take your cream tea with Devon clotted cream and scones up to your room or sit in the dining room enjoying the break. Running till end Oct and resuming next Spring. – Writing for Therapy – we did a special blog about it for ‘Queen of Retreats’ which talks about how it can help you feel better to get your feeling out on paper. Or computer. 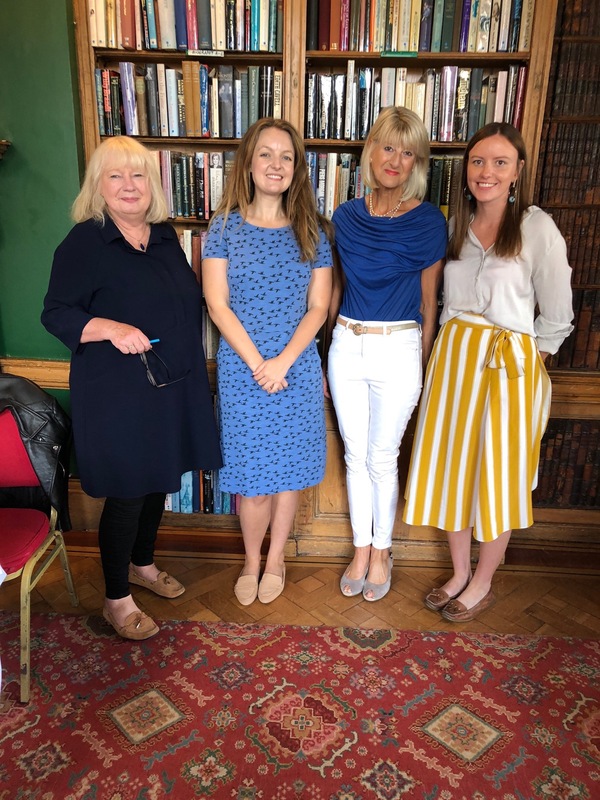 – Author Writes 25,000 words in 4 days at RFY – A lovely write up from successful author Nikki Moore who joined us for a four day retreat recently. Author of the ‘Love London’ series of novels, she’s written some awesome books herself and I’m looking forward to her next one being sent to us so we can add it to the shelves of former guests’ books in our dining room! Go here to read what she said about it. – Uplit – it’s a new trend. Phoebe Morgan also said that stories with an uplifting ending are doing very well at the moment (she cited ‘Eleanor Oliphant’) – so perhaps rethink that final twist…?! Hope your own writing is going well. If not, come on down on October 15th or Dec 3rd! And if you’ve already stayed here and there’s a copy of your finished work of art to add to our Author shelves, the address is below! – the Association of Authors’ Agents website is here, lists top agents in alphabetical order – many of the above appear here, with direct links to their websites and more info, so check it out. – outstanding example of a covering letter, which got Jane Corry her publishing deal. December Mon 3 – Fri 7 –NEW!! – just opened – full board to include tasty Xmas treats plus mulled-wine-o’clock! If coming by train, arrive on the 1.04pm at Exeter St Davids (on 10.33am from Paddington) for special taxi deal – transfers included to and from RFY / Exeter. Xmas wreath making class with churchparkflowers.co.uk, take your own away. Early Bird offer – one week exclusive availability to subscribers of this newsletter only – New en suites to be completed? Hope so! Provisional bookings for Spring being taken – pick a date and ask us about it. Monday to Friday retreats every month, 2018 prices of £95 pppn held if you book as soon as possible (will be going up to £98 or if you opt for en suite, £115 per night). Full board including lunch Monday to lunch Friday, inc wine at supper; all hot drinks and snacks, homemade banana bread and flapjacks etc Dietary needs catered for inc veggie, vegan, gluten free, dairy free etc. Weekend offer – New Year 2019 resolution to get that novel written? Join us for healthy eating weekend January 2019 – Thursday 3 – Monday 7. £95pppn if you book by December 17th. Voucher available if it’s a gift. Two places already gone. TAXI INCLUDED Selected weeks for train passengers with transfer incl – arrive by train at Exeter St Davids by 1.04pm (eg the 10.33 from Paddington) on the Monday and Taxi is included (needs three passengers minimum to book – first come first served.) – specific dates only including weeks commencing Monday Feb 4, March 18, April 8, May 27 (no others currently planned) NB trainline has low prices atm for those journeys. Photography Weekend – Spring 2019 TBC – email us to go on the waiting list. ‘Just Write’ weeks in 2019 – email us to let you know as soon as we fix dates for state roughly when you would like to come and we will tell you what’s available. You just come and write your story, poetry, thesis, or whatever; we do the rest – no chores, no cooking, just me-time for you to enjoy. BLOCK BOOKING FOR WRITING GROUPS – you block book and collect money, book five places and your sixth one is free. £50 deposit now each (or £125 for tutors bringing their own students) Balance payable one month before the retreat date. Several weeks available for hire in 2019 – email us now. 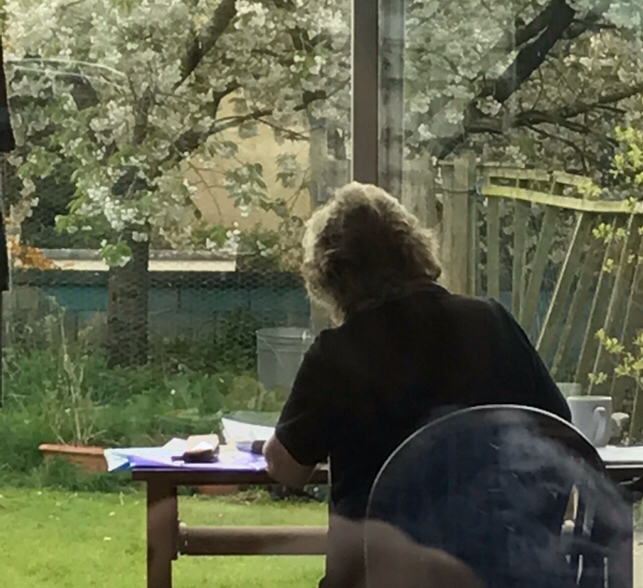 Alison May – tutored workshop June 17th-21st – Developing Your Novel – for anyone with a novel in progress, or just starting; incl in depth one-to-one tutorials as well as optional workshops. £545 if you book before 2019 . More info direct from Alison – ask us to put you in touch. Julie Cohen – tutored workshop, date tbc – always sells out early – please email us asap to go on list for when date is announced and we will let Julie know. OTHERS TO FOLLOW – stay signed up to our newsletter to get first refusal and early bird offers. Facebook (please add your review if you would like to, we really appreciate it! Go here – dozens of top rated reviews.